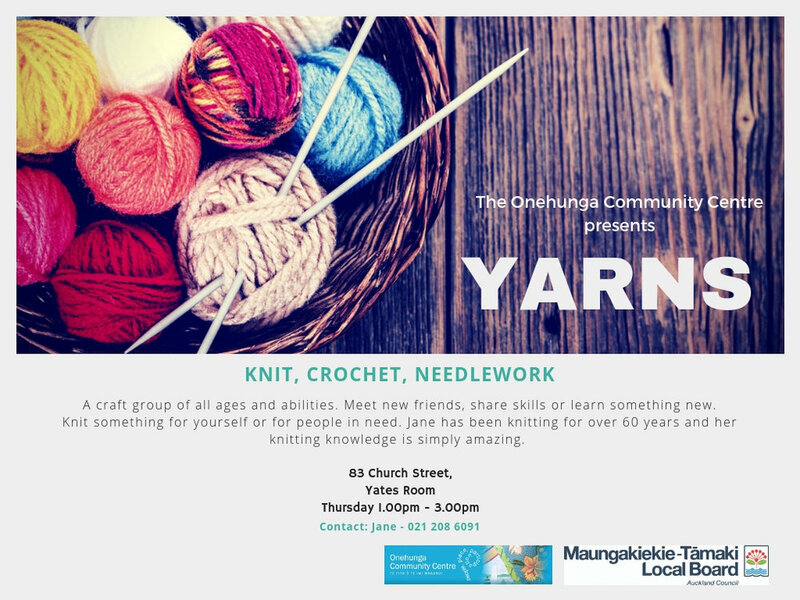 Yarns is a social knitting group facilitated by Jane who has been knitting for over 60 years! Come along and socialise with other crafters, it doesn't matter if you have never knitted before or if you have been knitting your whole life. Every Thursday from 1pm-3pm in the Yates Room. It starts back on 17th Jan, 2019.